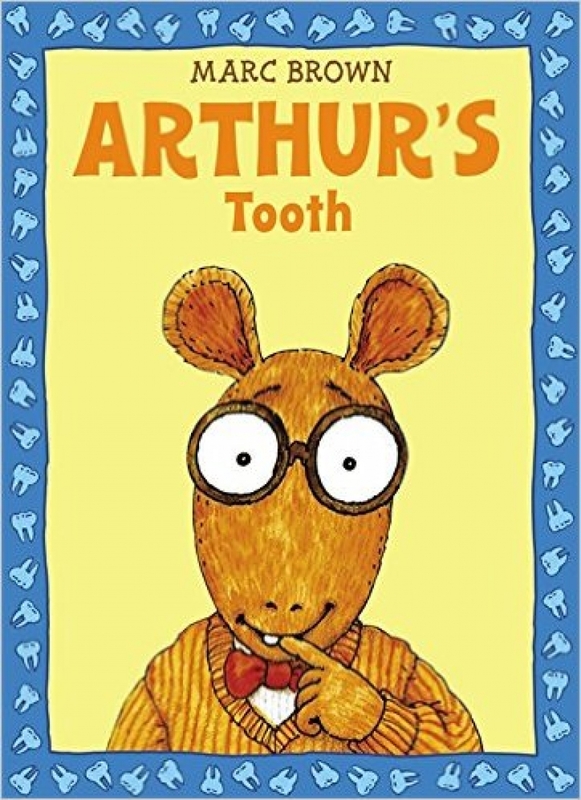 In the book "Arthur's Tooth", by Marc Brown, Arthur watches as all his friends get visits from the tooth fairy, while his own loose baby tooth just refuses to fall out! Most kids understand the frustration that comes with that stubborn baby tooth that just won’t fall out! In Arthur’s Tooth, by Marc Brown, everybody’s favourite aardvark, Arthur, is forced to watch as all his friends’ baby teeth fall out while his remains stubbornly in place. Even though he tries everything from steak and corn on the cob, to peanut brittle and other (increasingly desperate) measures, his baby tooth just refuses to budge. Meanwhile, more and more of his friends are proudly showing off their gap-toothed smiles, and Muffy even brings a whole jar of teeth in for show and tell (worth $2 each from the tooth fairy). To find out how Arthur finally solves this problem (with a little help from Francine! ), pick up this great read at your local bookstore today!